Dare to be Square. 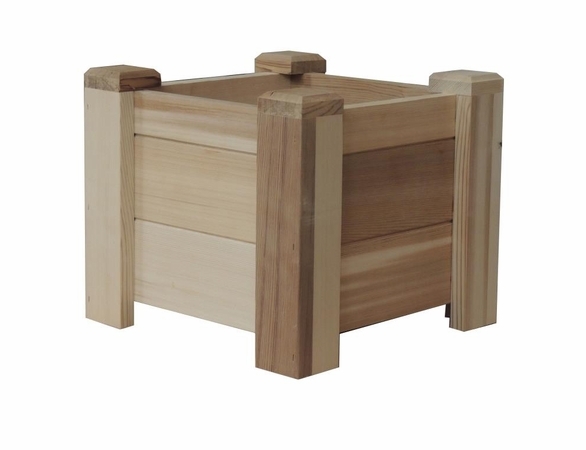 Western Red Cedar Square Planter Boxes are fully functional flower planters to instantly beautify yards, porches, and patios or to line walkways. Available in small, medium or large sizes. 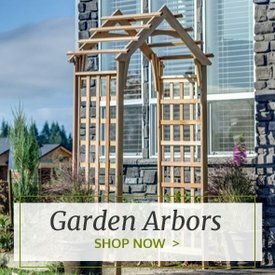 The large Box can be converted to a single Arbor Planter by ordering one of our Garden Trellis Kits. 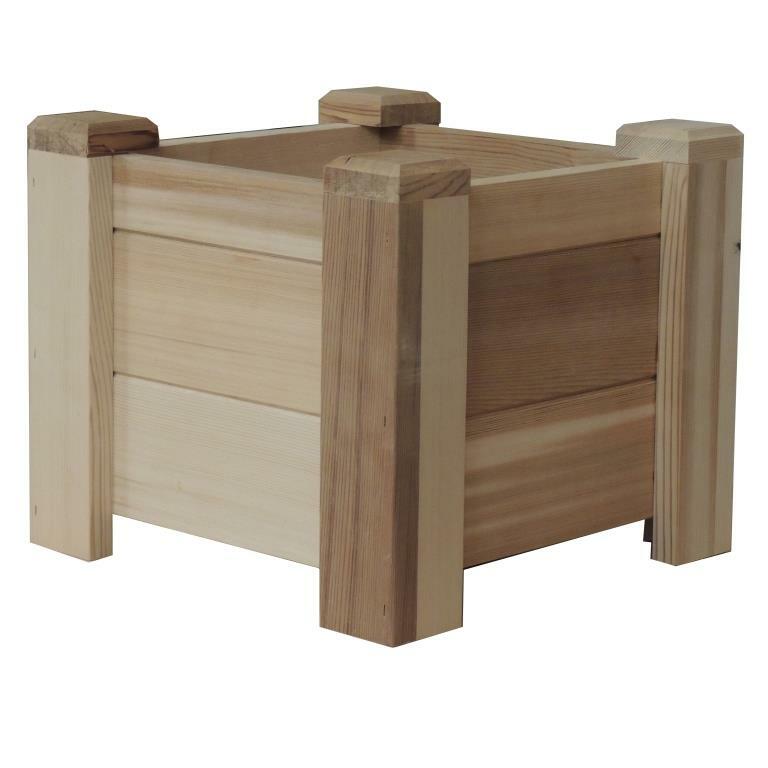 Features a 1x4 Cedar Wood base with slat inserts for water passage after rain. 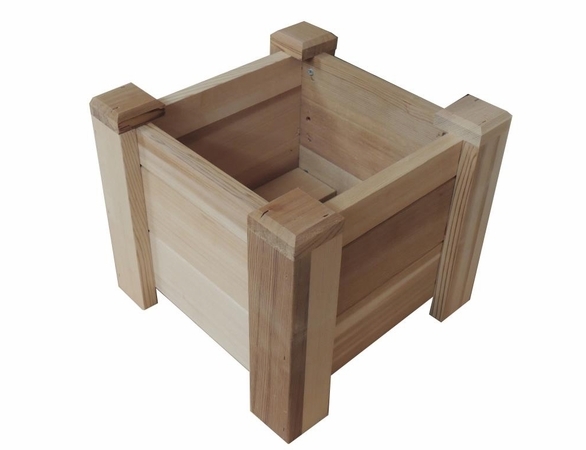 We recommend insert of plastic containers as liners because these Outdoor Planters are not recommended for soil fill. 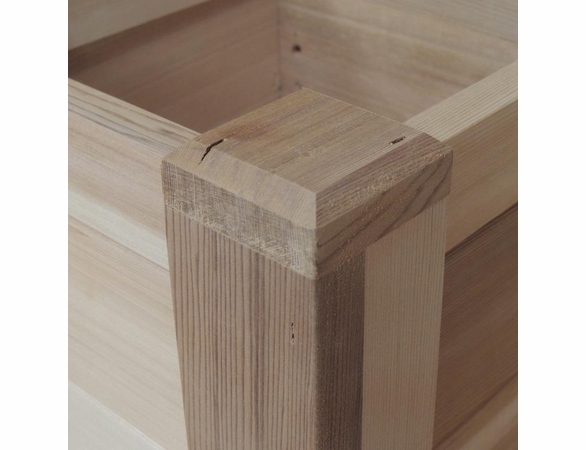 Planter legs provide bottom air circulation. 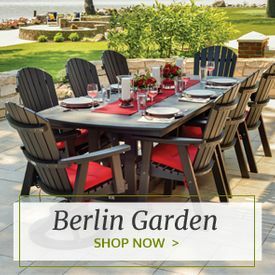 Can purchase with casters to secure into each leg of the planter to move around easily. 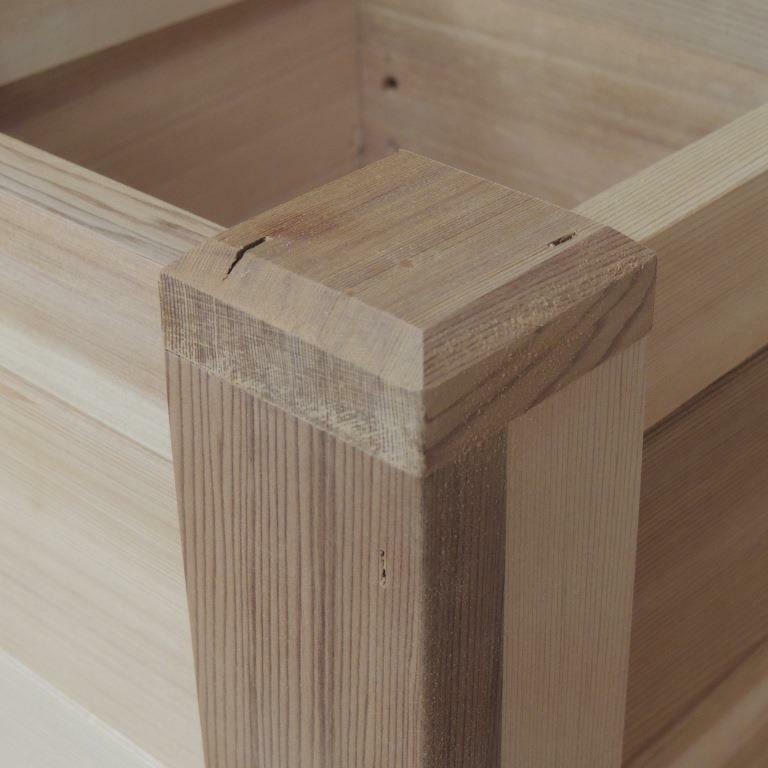 Check out the matching Rectangular Planter Boxes to create an entire ensemble. 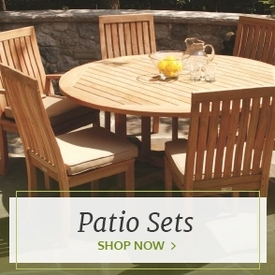  All natural unstained or with an OPTIONAL Cabot Sealer added. 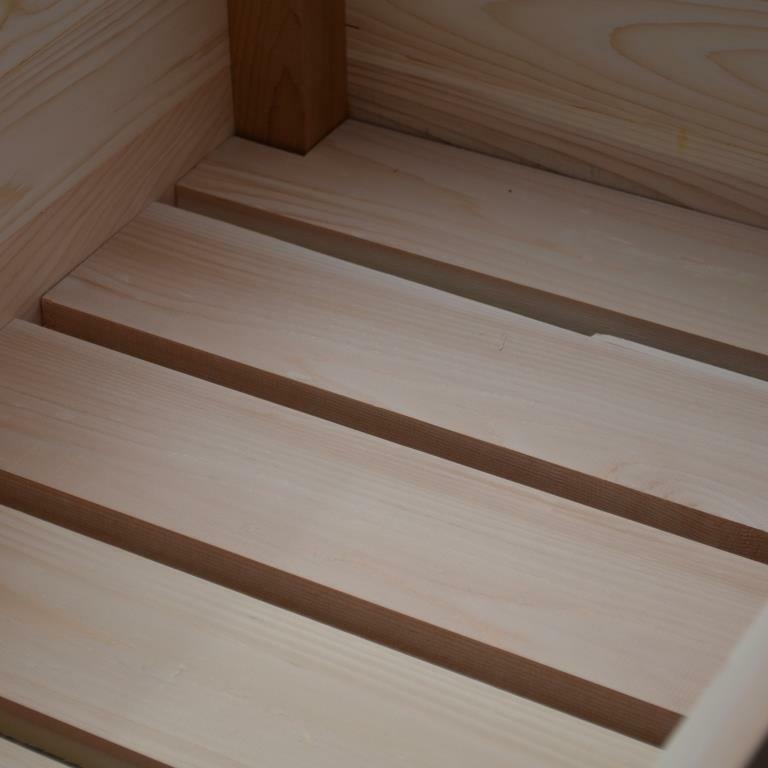 The Cabot sealer is a water based sealer with a slight bit of stain in it called "natural." 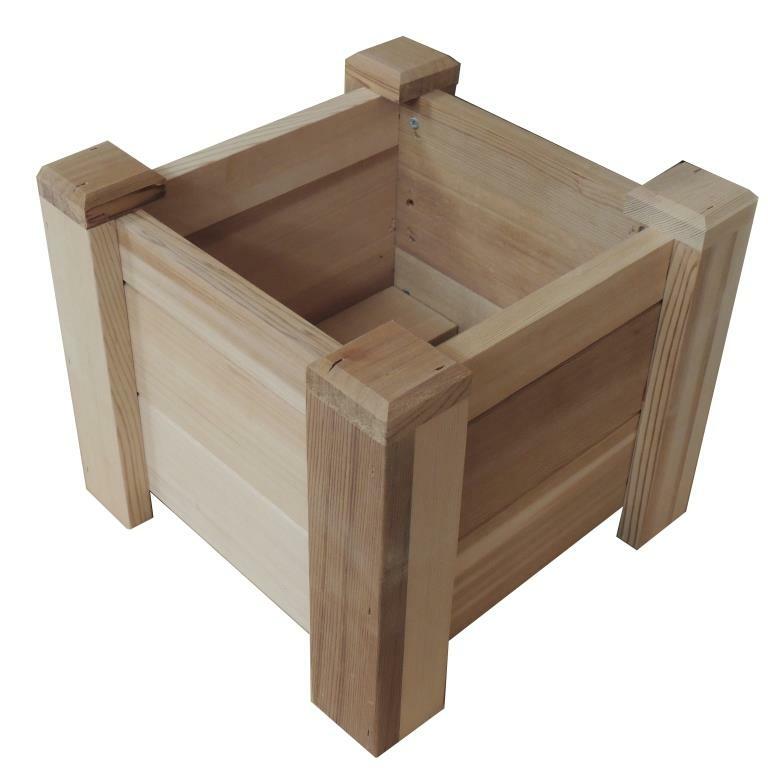 * This Large size planter box is needed for creating a single Trellis Planter. 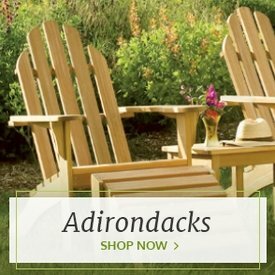 Our Planter Bench Planter Bench Set from the Garden Decor section can help create a scene of natural beauty in your home. 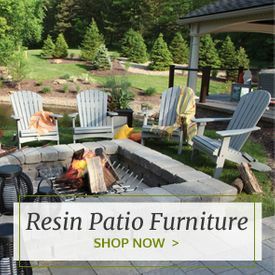 Plus, like everything else we sell, it comes with a 100% Satisfaction Guarantee and Free Shipping on orders over $100. 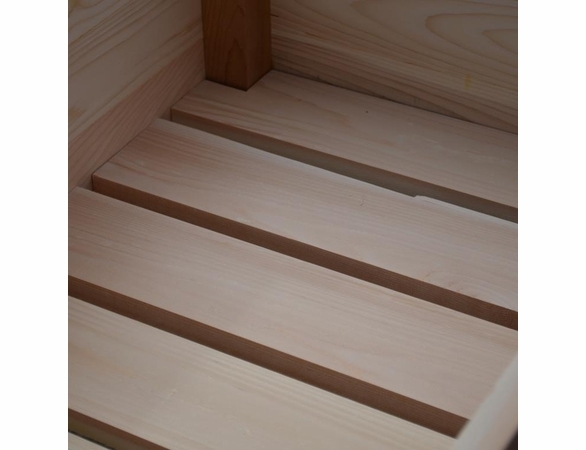 Add Casters on Bottom Corners?